Sub: Discussion in the National Anomaly committee meeting. The following issues alone were taken up for discussion at the meeting. 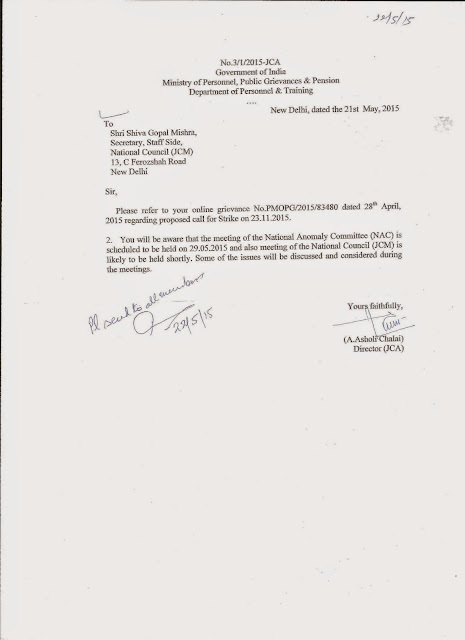 The next meeting of the NAC will be held on 9th June, 2015afternnon, when the un-discussed items (12) of the agenda will be taken up. 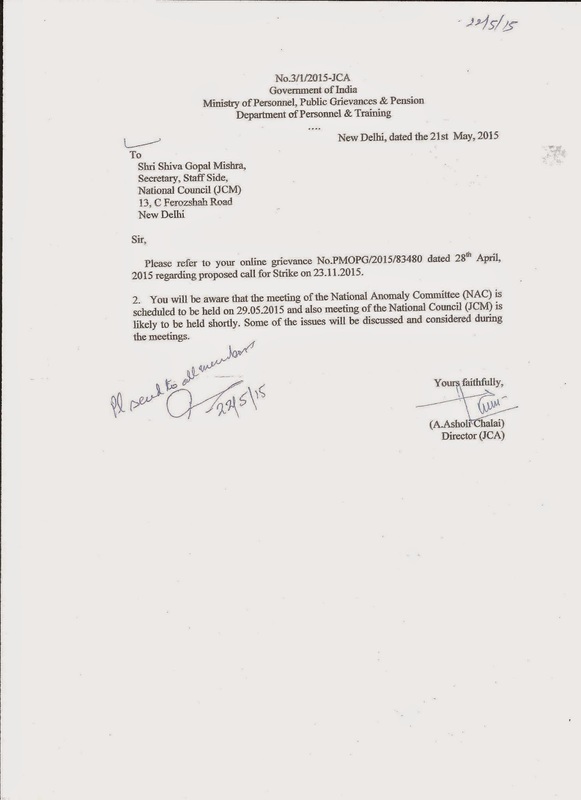 The Staff side also pointed out the need to reach finality on all issues included in the agenda of NAC. Item No.1. Review of MACP where Grade Pay of Rs. 2000/- is not available like Railways: The official side stated that the demand was to bring the hierarchy based MACP which may not be acceptable as it would disturb the uniformity across the Departments. They also said that in the background of 7th CPC coming into being, no change in the scheme at this stage would be desirable. Item No. 2. Grant of Addl. Pay to Loco and Traffic running Staff in Railways. After some discussions, it was agreed that the DOE will cause a reconsideration of the issue. Item No. 3. MACP for personnel appointed under LDCE and GBDCE scheme in Railways. The official side agreed that under the ACP if the appointees under LCDE and GDCE have been treated as direct recruitment, the same might be treated in the same manner under MACP. Item No. 4. Grant of minimum entry pay meant for direct recruits to promotees. The official side stated that unless logically it is established that the proposed stepping up is needed, the direction of the FM in the matter cannot be got reversed. There was serious discussion in the matter thereafter. The Staff side stated that the RPA rules promulgated after the 6th CPC recommendations were not in conformity with the Fundamental Rules on this issue. They also stated that having once agreed to a position; the official side cannot withdraw there-from under the JCM Scheme. They also stated that the course open to the official side was to present the case before the new Finance Minister. On behalf of the Staff Side, the Secretary informed the official side that a rejection of an issue on which agreement is reached will not be taking lying down by the employees. The Staff side also demanded that a meeting with the new Finance Minister be arranged so that they will be able to place this issue before his consideration. 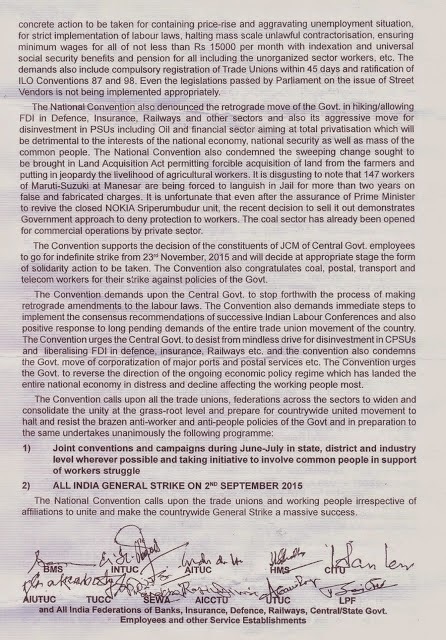 The National Convention Calls upon the Central Trade Unions All India General Strike on 2nd September, 2015. Constitution of Inter Ministerial Committee to hold discussion with representatives of Central Trade Unions on 10 point charter of demands and other issues. Special Recruitment Drive to fill up the vacancies for Persons with Disabilities. To view Department of Personnel & Training OM No. 36012/39/2014-Estt (Res) dated 22-05-2015 pleaseClick Here. 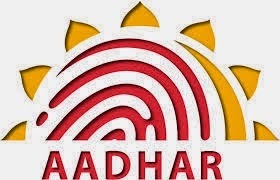 INCLUSION OF AADHAR (UNIQUE IDENTIFICATION) NUMBER IN SERVICE BOOK OF GOVERNMENT SERVANTS. Request for Voluntary retirement from persons suffering from disability -Supreme Court Order in Bhagwan Dass and Anr Vs Punjab State Electricity Board 2008 1 SCC 579 To view please Click Here. Central Civil Services (Leave Travel Concession) Rules, 1988- Clarification regarding eligibility of Home Town Concession- Frequently Asked Questions. Subject: Central Civil Services (Leave Travel Concession) Rules, 1988- Clarification regarding eligibility of Home Town Concession- Frequently Asked Questions. 1. Whether the employees whose Headquarters/ Place of posting and Home Town are same, are eligible for Home Town LTC? 2. Whether the employees who are not eligible for Home Town LTC may avail the Special Concession scheme of conversion of Home Town LTC to travel to North East Region, allowed by DoPT’s 31011/3/2014-Estt.A-IV 26.09.2014? 3. Whether the employees residing in cities / towns outside Delhi which fall under other states of National Capital Region (NCR) are eligible for Home Town Concession? Yes, Cities/Towns which outside Delhi and fall in other states of NCR are not to be treated as Delhi Headquarters. Hence, the Government employees whose headquarters are Delhi and reside in cities/towns outside Delhi falling in other states of NCR, are eligible for Jammu & Kashmir & Andaman & Nicobar Islands as eligible for Home Town Concession. Withdrawal from the list of Diagnostic Labs and Imaging Centres empanelled under CGHS, Delhi. With reference to the above mentioned subject it is stated that subsequent to the sting operation titled “Operation Jonk-2” aired by a TV channel on 7th May, 2015, prima facie it appears that following MRI centre which was empanelled under CGHS has indulged in unethical practices. Hence it has been decided to withdraw the empanelment of following centre from CGHS with immediate effect till further orders. 1. / C-15 MRI Diagnostic & Research / C-15, Green Park Extension, Centre, New Delhi – 110016. 11th Kerala state conference of confederation was held at Trivandrum on 15th and 16th May 2015. Delegate session was inaugurated by com.M.B.Rajesh MP at com.S.K.Vyas Nagar on 16th. Com.M.S.Raja working President, M.Krishnan Secretary General, Trivandrum Mayor com.K.Chandrika PHM.Ismail General secretary FSETO, K.Mohanan circle secretatry BSNLEU, M.C.Nair CGPA addressed the opensession. com.V.Sreekumar presided. Com. S.Ashokkumar abd N.Padmakumar made the wecome speech and vote of thanks respectively. 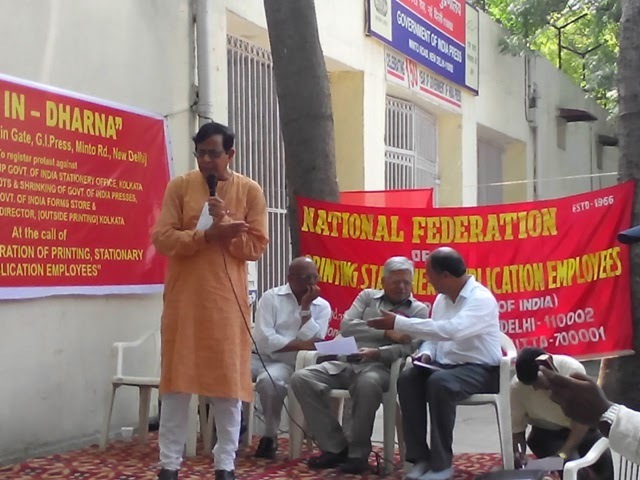 General secretary P.V.Rajendran andTreasurer Rajmohan presented the draft report and expenditure statements. on 15th evening a seminar was held at V.B.Aruna Nagar. The seminar was inaugurated by Dr.T.N.Seema MP State leaders of CITU, INTUC, BMS, AITUC presented their views in the seminar. com. 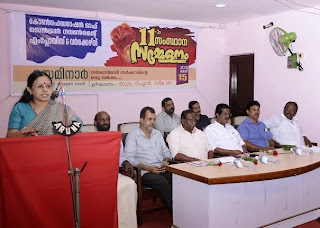 K.Kamalasanan presided. 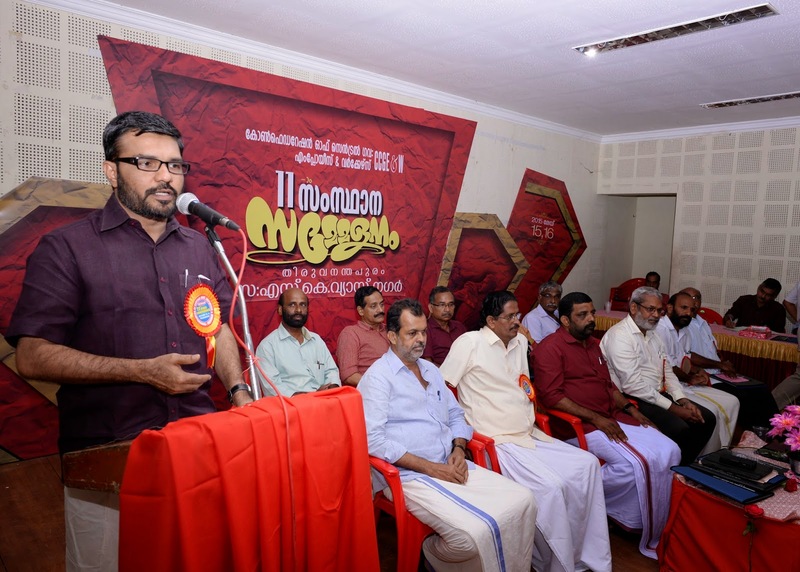 P.V.Rajendran and P.K.Muralidheran made the wecome speech and vote of thanks respectively. 400 delegates representing 14 district committees and 36 affiliated organisations attended the conference. Coms. V.Sreekumar. P.V.Rajendran and K.Rajmohan were unanimously elected as President, General secretary and Treasurer of Kerala state committee. (i)In computing the total income of an assessee, being an individual, there shall be deducted, in accordance with and subject to the provisions of this section, any amount paid by him in the previous year, out of his income chargeable to tax, by way of interest on loan, taken by him from any financial institution or any approved charitable institution for the purpose of pursuing his higher education or for the purpose of higher education of his spouse or children. 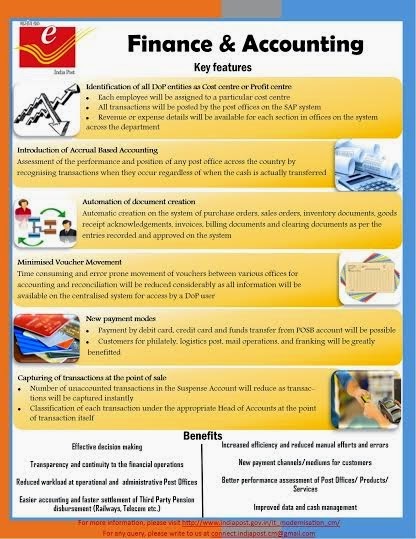 (d) “initial assessment year” means the assessment year relevant to the previous year, in which the assessee starts paying the interest on the loan. 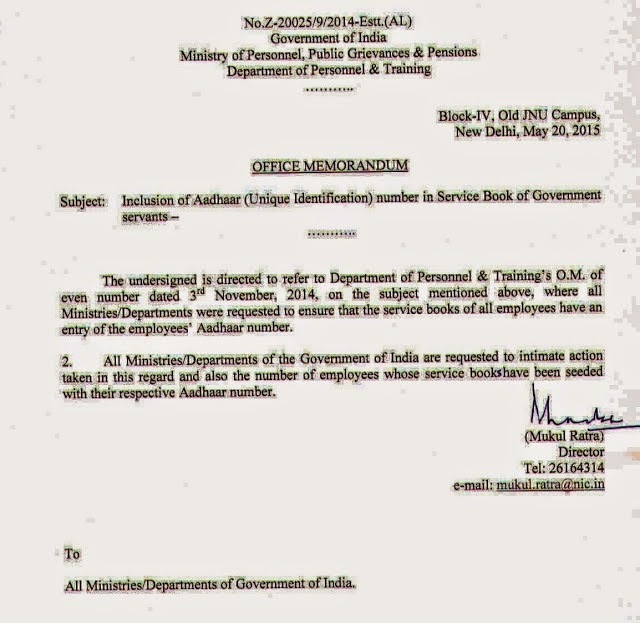 Department of Personnel & Training has not made any change in instructions contained in OM No. 22011/4/1998-Estt. (D) dated 12.10.1998 and reiterated vide OM No. 22011/1/2014-Estt. (D) dated 14.11.2014. These instructions provide for consideration of retired employees, who are within the zone of consideration in the relevant year(s) while preparing year-wise panel(s) for promotion. Such retired officials, however, have no right for promotion as they are not available to assume charge of the higher post. 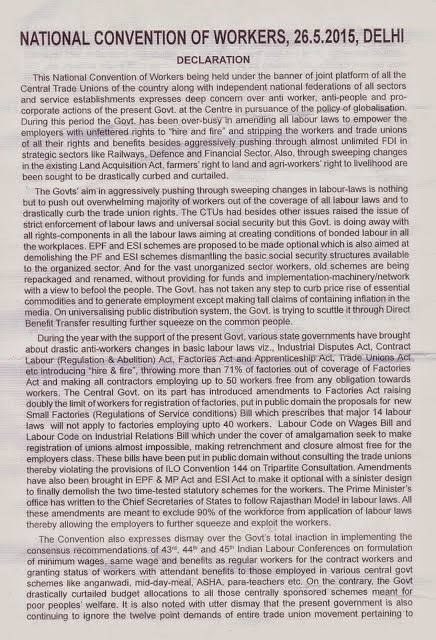 This was stated by the Minister of State for Personnel, Public Grievances and Pensions and Minister of State in the Prime Minister’s Office Dr. Jitendra Singh in a written reply to a question by Dr. Udit Raj in the Lok Sabha today. 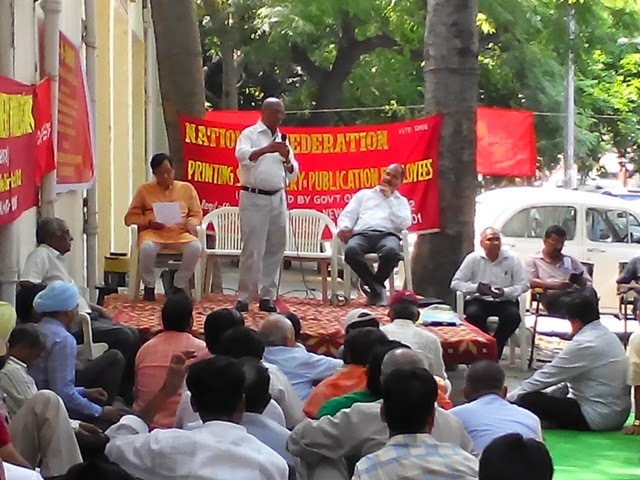 Consequent on the meetings held with Postal Directorate & Minister of Communications, Postal Joint Council of Action (PJCA) comprising National Federation of Postal Employees (NFPE), Federation of National Postal Organisations (FNPO), All India Postal Employees Union GDS (NFPE) and National Union of GDS have decided to DEFER the Indefinite strike earlier proposed from 06.05.2015. 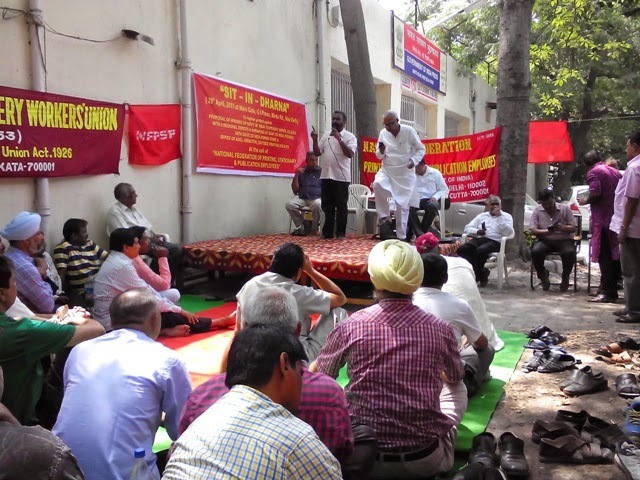 In the wake of above development the proposed “Confederation’ s half-a-day walk-out programme and Mass Dharna and Demonstrations in front of selected Post offices/RMS offices throughout the country on 7th May 2015 stands DEFERRED. Our neighbouring country Nepal has been devastated by earth quake, worst ever to hit the Himalayan Nation. Over 7000 have lost their lives, several thousands have been injured and homeless. Following the Catastrophe, the impoverished country has appealed for help from all, including foreign countries. In this hour of calamity, it is our duty to support the hapless people. Confederation National Secretariat appeals to all Central Government Employees to contribute generously to the NEPAL RELIEF FUND. 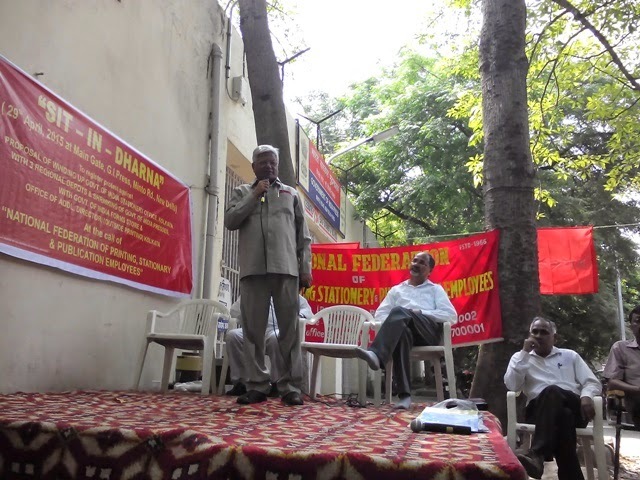 National Secretariat of the Confederation held on 28-04-2015 has decided to organise two day’s All India Women’s Workshop and Trade Union Camp in the month of September/October 2015 at Hyderabad. C-O-C Hyderabad will finalise the dates and venue in consultation with CHQ immediately. 150 women delegates will attend the workshop and Trade Union Camp. Quota of delegates to each organisation and C-O-C will be intimated later. 1. All National Secretariat Members. 3. All General Secretaries C-O-Cs. As you are aware, more than five lakhs Postal and RMS employees including Gramin Dak Sevaks and Casual, Part-time, Contingent employees, under the banner of Postal Joint Council of Action (PJCA) comprising National Federation of Postal Employees (NFPE), Federation of National Postal Organisations (FNPO), All India Postal Employees Union GDS (NFPE) and National Union of GDS have decided to go on nationwide indefinite strike from 6th May 2015. 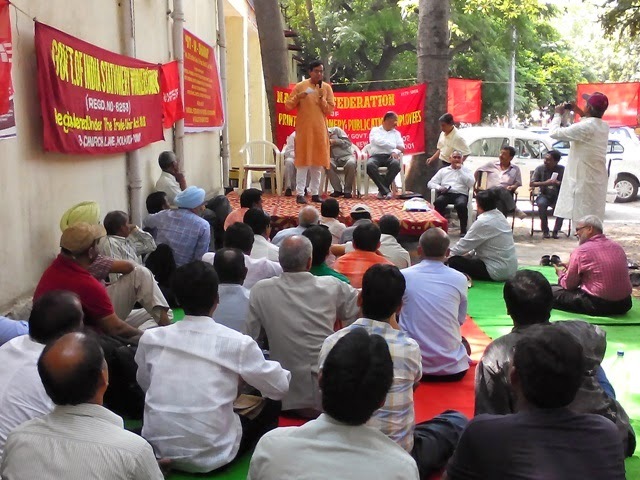 Main demands are (1) No Corporatisation or privatisation of Postal Services, (2) Inclusion of GraminDak Sevaks under 7th CPC and grant of Civil Servants status with all benefits. (3) Implementation of Cadre-Restructuring agreement and (4) Settlement of other cadre-related issues. 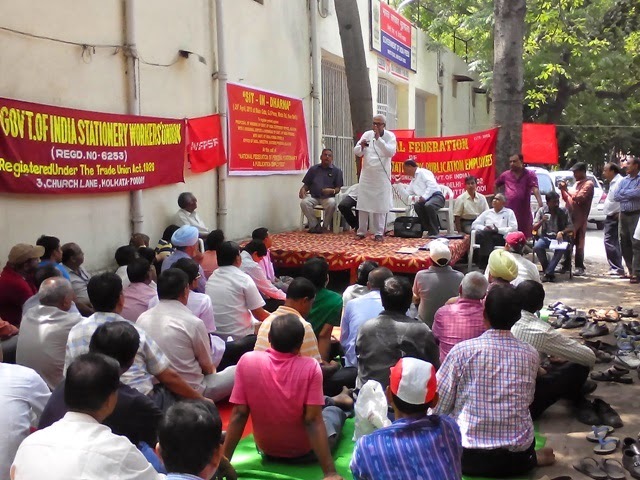 ALL CENTRAL GOVT.EMPLOYEES BELONGING TO ALL AFFILIATED FEDERATIONS/UNIONS/ASSOCIATIONS OF CONFEDERATION SHALL CONDUCT HALF-A-DAY’S WALK-OUT PROGRAMME AND SHALL ORGANISE MASS DHARNA AND DEMONSTRATIONS IN FRONT OF SELECTED POST OFFICES/RMS OFFICES THROUGHOUT THE COUNTRY ON 7TH MAY 2015 THURSDAY ie; THE SECOND DAY OF THE STRIKE. If the strike is prolonged due to the negative attitude of the Government, the Confederation shall decide and declare further course of action. All affiliated organisations and C-O-Cs are requested to take necessary action to implement the above programme successfully at all centres.